Acacia Saligna Box - TT191 [TT191] : No Skew Turns, Gifts handcrafted from the world's beautiful woods. 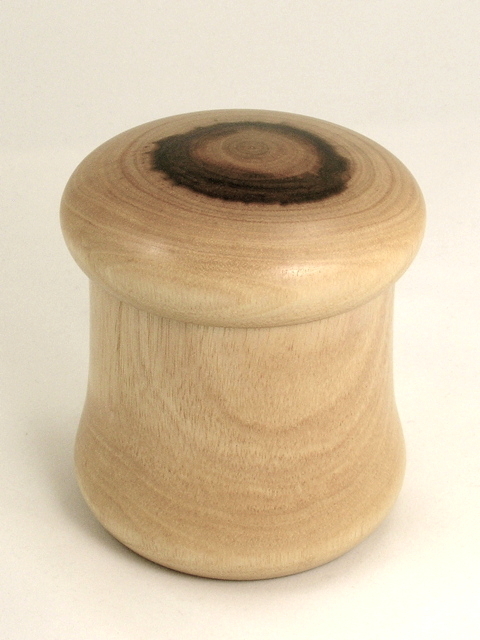 Heartwood patches on top and bottom of this mushroom-shaped Acacia saligna box are the only decoration on the otherwise plain figure. The inside is gently rounded. This unassuming box will sit quietly on your shelf holding ... who knows?